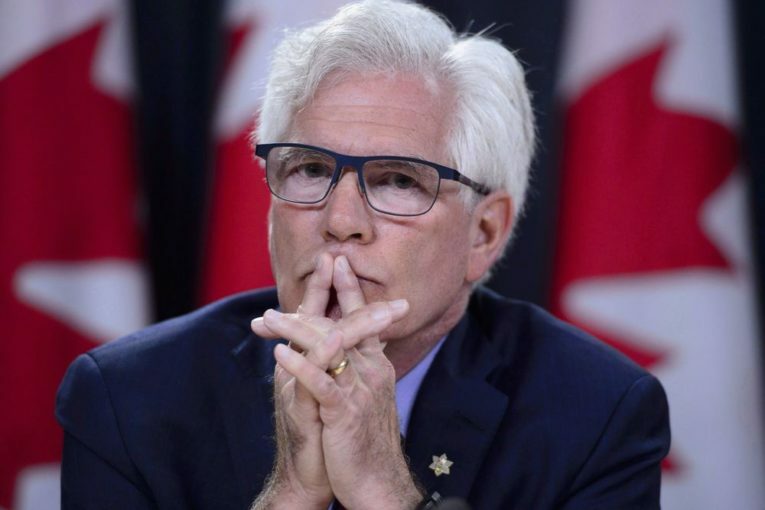 Natural Resources Minister Jim Carr says he knew almost the moment he heard Kinder Morgan was pressing the pause button on the Trans Mountain pipeline expansion on April 8 that the federal government was likely going to have to buy the whole thing. “When that phone call came, I knew that there was a reasonable chance that they would pull out and at the same time there was a possibility Canada would step in,” Carr said. Carr says he wasn’t really expecting the April announcement that Kinder Morgan was halting all non-essential spending on the project pending proof from the federal government the political risks to the project had been erased. However, he was well aware Kinder Morgan was getting “skittish” because of the B.C. government’s threats to stop the pipeline. Carr met Kinder Morgan president Ian Anderson a month earlier. Lobbying reports say Carr or his chief of staff met Anderson nine times in the previous year. In the 12 months leading up to the decision to hit pause, Anderson had 23 meetings with members of cabinet, deputy ministers, policy directors, chiefs of staff in finance, environment and natural resources, and the prime minister’s office. “We were following it very carefully and we were in continuous conversation with senior executives at Kinder Morgan, but it was not clear until that Saturday that their board had actually made a decision to establish the deadline,” said Carr. It happened last week, when during an interview with The Canadian Press, he was asked if when he became the minister of natural resources on Nov. 4, 2015, he had any inkling that he’d eventually become the de facto owner of a pipeline. The Trans Mountain expansion will build a new pipeline roughly parallel to the existing, 1,150-kilometre line that carries refined and unrefined oil products from the Edmonton area to Burnaby, B.C. It will nearly triple the capacity to 890,000 barrels a day. It is the only pipeline carrying Alberta crude to the West Coast and the hope is that most of the oil will end up in tankers bound for Asia. Conservative party Leader Andrew Scheer believes Horgan’s election in May 2017 should have sent the Liberals into overdrive on the expansion. He says legislation to confirm federal jurisdiction should have come last summer. But Carr says federal jurisdiction was never in doubt and Horgan was never really clear what he was going to do, which meant Ottawa was at a loss about how to soothe Kinder Morgan’s nerves. It wasn’t actually until the end of April that Horgan filed his court challenge over jurisdiction, several weeks after his threats caused Kinder Morgan to hit the brakes. By then, Carr acknowledges, the reality that Canada was going to have to buy it to build it, was already sinking in. The actual sale won’t happen until later this summer, after Kinder Morgan shareholders vote on the deal. For now, Kinder Morgan is still in charge. In the month since the purchase announcement, B.C. government records show the company hasn’t applied for a single new permit. It needs more than 1,100 construction permits and has applied for 756. B.C. has only approved 221, one more than was approved as of May 29. “We expect before too long, within weeks rather than months, that there will be much more construction than there has been,” he said.